Suspect led authorities on chase in stolen HFD ambulance. 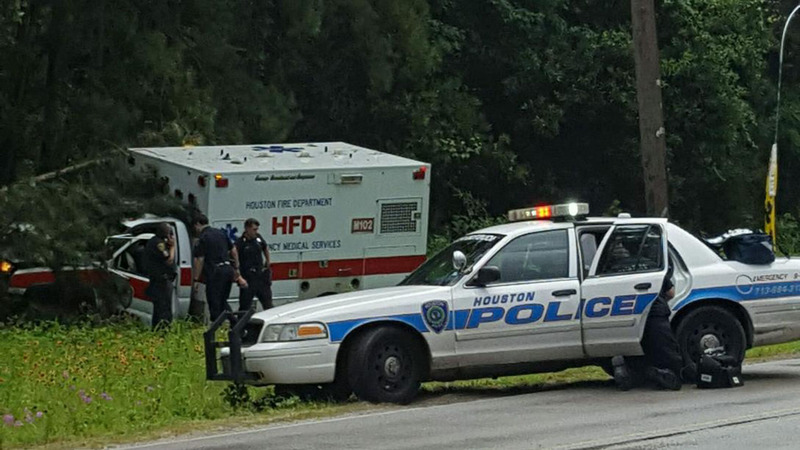 HOUSTON (KTRK) -- Houston police have arrested a suspect after leading them on a chase in a stolen ambulance Wednesday afternoon. According to authorities, an HPD officer spotted the stolen medic unit from Kingwood Medical Center and tried to pull the driver over. The driver refused and continued driving the ambulance until they went into a ditch near Texas 494 Loop and Sorters Road. HPD says the chase lasted around five minutes.